Garages are never given the attention they deserve, which is why garage doors are one of the leading repairs on homes today. If you’re someone who’s been looking into replacing your garage door, know that there are many benefits to doing so. Previously we mentioned that garage doors can give you storage security, limit home access to thieves, and increase utility savings. 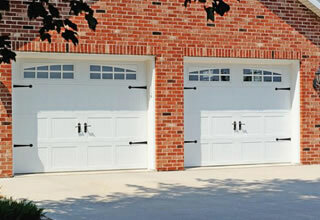 Here are a couple more benefits to replacing your garage door in Torrance, CA. Just like we previously mentioned, garage doors can provide not only your belongings with more protection and security, but they can provide the homeowner’s with personal safety too. Newer garage doors can protect homeowners with sensor detection. Don’t get stuck under a garage door that doesn’t have a brand new sensor detection beam. Also, with the new garage doors, once your sensor detection has detected movement, your garage door light will come on. If you are going to make an appointment with the garage door repair specialists in Torrance, CA to replace your garage door once and for all, it may be worth the time to contact your insurance provider. Insurance benefits aren’t out of the question, in fact, because of the added safety and security, you may be able to enjoy better rates and benefits. It’s definitely worth looking into! Contact us online now to schedule an appointment and receive an estimate! Feel free to reach out if you have any questions about which garage door might be best for your home!